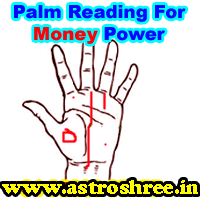 Palm reading for Money, lines which makes a person powerful in monetary terms, One of the best palmist view on wealth in life through palm reading. Money is the taken as the 2nd god of this world. The person who has monetary power is able to live the desired life easily. Money is able to provide every worldly things. It is because of this reason every one is following money. In this world every one is working to get money to increase the social status, financial status. In whole life person runs to save money and money. generally seen in this world that in spite of having sufficient money the person is unable to spend it to fulfil the desires. This is all because of destiny. In this article i am going to focus on how to find the money power through palm reading. Palm is the mirror of our life. So by studying it carefully it is possible to know the ins and outs of our life. But it is always better to consult an experienced palmist before reaching to any conclusion. While analysing not only lines are studied but the mounts, skin, fingers, signs on palms etc are also studied. If the fate line in palm is healthy i.e. if it is straight, deep and complete then it make good flow of money in life. The person will get the powerful sources of income. If the Jupiter mount is in power or if the Saturn mount is also in power with the Venus mount then also this combination helps to earn huge income. If the thumb on pressing bend easily backward and if there is gap among the fingers then the person don't hesitate to spend money. This type of person waste money in non worthy things. If the thumb is straight or stiff and hard to bend then the person spend logically. This type of person become rich easily. The good mount of sun and moon is also good from the point of view of wealth. The pinkish palm with smooth skin and having deep and clear fate line, powerful mounts, sun line, life line will make person richest person easily. The rough skin with depressed mounts and cuts on fate line, luck line, makes a person unlucky in terms of money. Absent of fate line with Sun line also makes a person sufferer. Any type of black mole in fate line or head line also create obstacles in getting money. 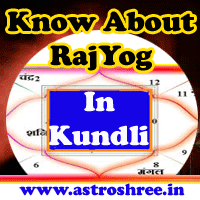 If the fate line diverts towards Jupiter mount then there is a very possibility that the person will earn from the teaching line, business, profession, consultancy etc. The diversion of fate line towards sun shows the fame in life and due to the contacts person will be able to earn huge income. If any line is coming from the Venus mount and reaching to the Saturn mount then it makes possibility to gain wealth from the wife side, from the glamour industry, from the business related to females etc. If any line is rising from Moon and reaching to the Saturn mount then the person will earn from abroad a huge income. It also makes a chance to earn from wandering jobs. Many times you might have found that with some person when you shake hand you find peace and motivation. That is the power of their planets. On studying their palm you will found that they have good mounts on their palm and their lines are also clear and deep, their skin is also good. So these are the people who are successful in life with their planetary powers. I love Saving Money ! What To Do?